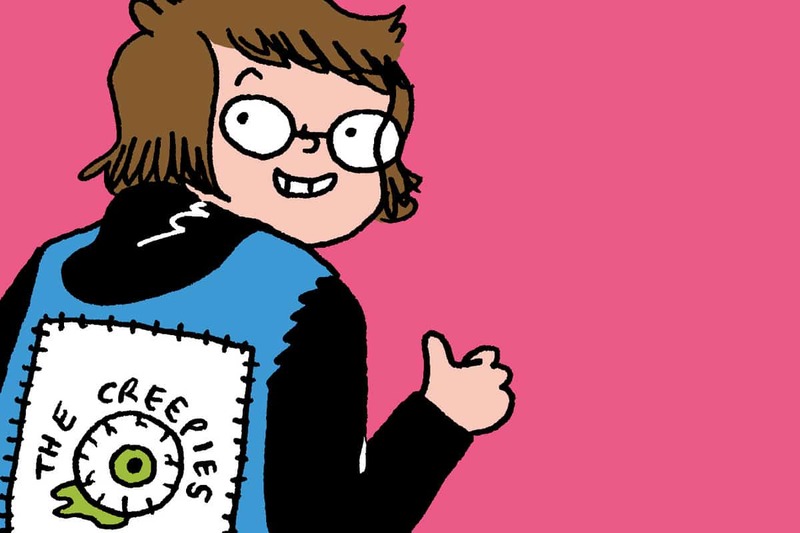 Maine comic artist Liz Prince may be best known for her humorous and relatable awkward autobiographical comics and graphic memoirs like Tomboy, but she has also done work for Cartoon Network properties like Adventure Time, and The Regular Show. Most recently, she was a featured artist at the Massachusetts Independent Comics Expo, an event dedicated to celebrating independent comics and graphic novels. 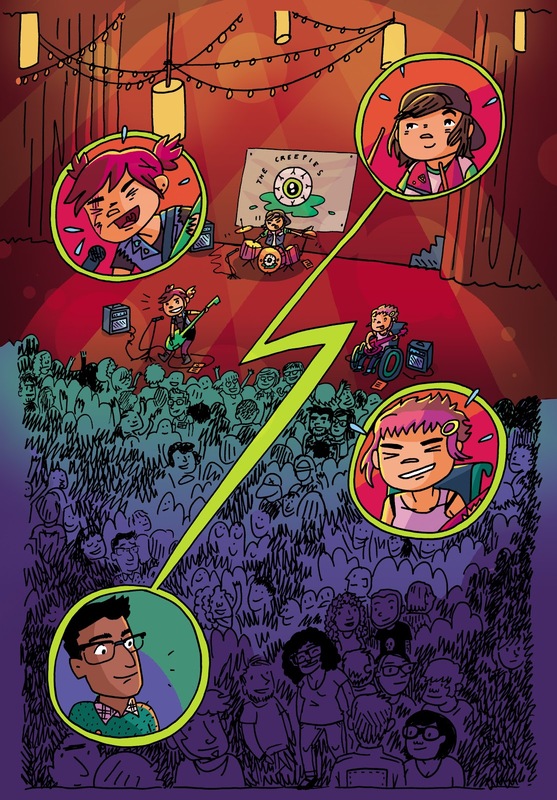 In her most recent book, Coady and the Creepies, Liz sets aside her usual autobiographical format to bring us into a fantastical world of punk bands and ghosts. 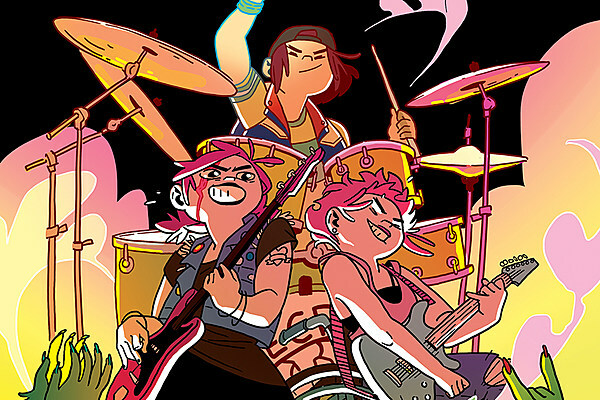 The four-part book follows a punk band comprised of triplet sisters a few years after they all survived a serious car accident — or so they thought. Coady, the singer for the band, is actually a ghost now and is doing her best to hide the truth from her sisters. Despite roadblocks at every turn, the group is determined to finish their tour in the spotlight even if it means fighting off their male rivals…and the undead.